Chawton House is a grade ll* listed Elizabethan manor house in the village of Chawton in Hampshire. It was formerly the home of Jane Austen's brother, Edward Austen Knight, and is now a library and study centre. In 1992 a 125-year lease on the house was purchased for £1.25 million by a foundation established by Sandra Lerner and Leonard Bosack, co-founders of Cisco Systems. The house has been extensively restored and is now The Centre for the Study of Early Women's Writing, 1600-1830, which runs study programmes in association with the University of Southampton. It incorporates Chawton House Library, opened in 2003, a collection of over 9,000 books together with related original manuscripts, formerly located in Redmond, Washington, U.S. Chawton House is the venue of the Annual General Meeting of the Jane Austen Society of the United Kingdom. 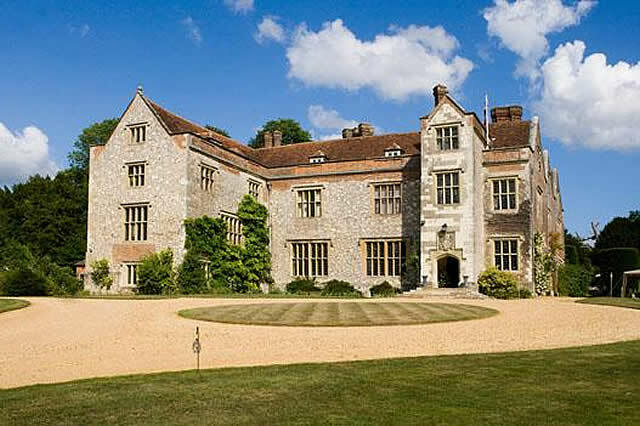 The present Chawton House was built c.1580, principally by John Knight. Based on a previous Manor house owned by the Knight family since 1551, it was subsequently extended and altered c.1655 and again in the 18th and 19th centuries. The house is built of flint with stone dressings and a tiled roof. The 17th-century south front has two storeys with an attic and three gables. John Knight served as MP for Lymington from 1593 to 1597 and High Sheriff of Hampshire for 1609-10. The house passed down in the family until the male line failed with the death of Sir Richard Knight, after which it was devised to a relative by marriage, Richard Martin, who thereupon changed his name to Knight. It then passed to Thomas Brodnax, a relative, who did the same. His son, Thomas Knight, died childless and bequeathed the house to Edward Austen, the elder brother of Jane Austen, who also added Knight to his name (a small price to pay for such a beautiful property). It then descended in that last Knight family until inherited in poor condition by Richard Knight in 1987, who sold it in 1992. Edward Austen Knight had the idea to build a new walled garden during his sister Jane Austen’s lifetime: in 1813, She wrote to her brother Frank: “He (Edward Austen Knight) talks of making a new Garden; the present is a bad one & ill situated, near Mr Papillon's; — he means to have the new, at the top of the Lawn behind his own house.” Today, Edward Austen Knight's original walls are mostly still intact. The restoration programme for this area is vast, and requires funding and the support of volunteers as it is the intention to rebuild the glasshouses and potting sheds that have long since fallen into disrepair. The central space is used for the production of vegetables, soft fruits, herbs and flowers. Chawton House is registered with the Soil Association, and is now certified as an organic producer. Everything grown in the walled garden is for use by the Library, with any surplus being sold locally in aid of the charity. The gardens are being restored using Edward Austen Knight's original planting scheme. The walls of the garden still require repair and re-pointing, and work is being done to restore the glasshouses in the near future. 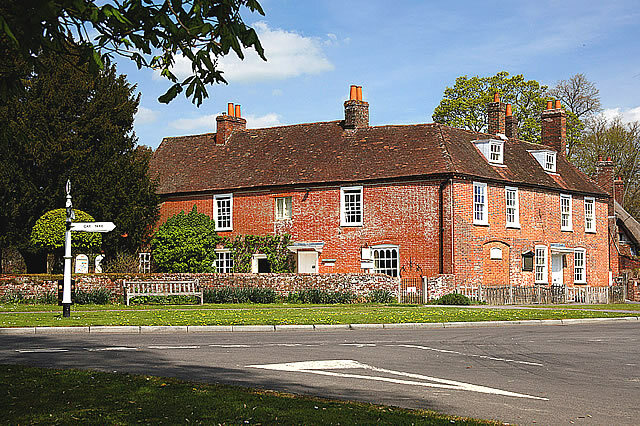 Jane Austen's House Museum is a small private museum in the village of Chawton near Alton in Hampshire. It is a writer's house museum occupying the 18th-century house (informally known as Chawton Cottage) in which novelist Jane Austen spent the last eight years of her life. The museum has been a Grade I listed building since 1963. Previously home to local farmers, the house was briefly a public house, The New Inn, between 1781-1787. The pub was the site of two murders, and after the second murder the house was let by Edward Austen Knight to a Bailiff Bridger Seward. The former steward's cottage was a gift of Jane's brother, Edward Austen Knight to allow his mother and sisters to have a permanent residence. Jane Austen lived in the house with her mother and sister, Cassandra, and a long time family friend Martha Lloyd, from 7 July 1809 until May 1817, when because of illness she moved to Winchester to be near her physician. She died in Winchester on 18 July 1817, though her mother and sister continued to live in the house until their deaths in 1827 and 1845 respectively. When she arrived at Chawton she had written three novels in draft form, these were Sense and Sensibility, Pride and Prejudice and Northanger Abbey. It is possible that she revised these novels at the house, before getting them published. In addition it was here that she wrote Mansfield Park, Emma and Persuasion. The rooms on show include the drawing room, and the parlour where Jane wrote on the small round table. Upstairs is her bedroom with the patchwork quilt she made with her mother and sister.There are four other rooms, one of which has memorabilia of her two brothers, Frank and Charles, who both had distinguished careers in the Royal Navy. Another room houses a period costume display. There is an extensive collection of family mementoes and documentary material, including copies of letters written by her. A pretty garden surrounds the house, stocked with many old varieties of flowers and herbs and Jane's donkey carriage is displayed in the adjoining old bakehouse. Jane and Cassandra normally went for a walk every day and used to go shopping in Alton, where their brother Henry, who was a London banker, had a branch bank. This was at 10 High Street, where the family post was delivered and collected. Also near Alton, and within walking distance of Chawton, was Wyards, the home of Anna and Ben Lefroy. Anna was the eldest daughter of Jane's brother, James, from his first marriage to Ann Mathew. Jane and Cassandra were very fond of their niece, often visiting her or having her to stay with them in Chawton, and her memories recorded in later years provide a lot of biographical information about Jane Austen. Finally, in Chawton, a short walk from Jane's home is St Nicholas's Church where Jane's mother and her sister are buried. The present church was rebuilt in 1872 following a fire which destroyed the church that Jane would have known. There is wheelchair access to all the ground-floor areas on site (unfortunately the age of the building prevents them installing a lift). Guide-dogs are welcome throughout the museum. Accompanying carer is admitted free. Transport : Alton (National Rail) then taxi. Bus Routes : 38 or 64 to Chawton Roundabout, but you will need to cross two very busy carriageways.